HARMER, Alexander Francis (1856-1925), New Jersey-born illustrator and painter who sold his first work at age 11. 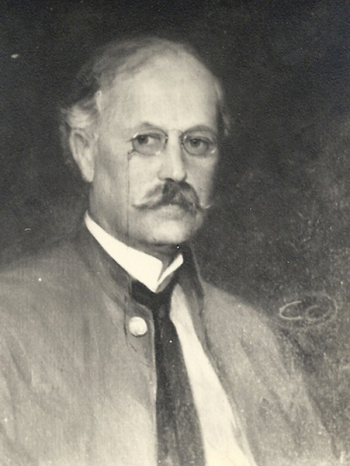 He sold illustrations to Harper’s Weekly and later began painting Indian portraits and depicting the American west. 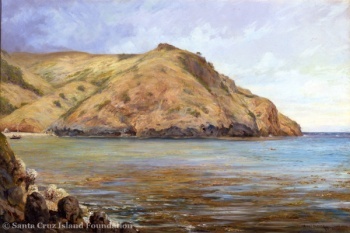 Harmer settled in Santa Barbara in 1906 and married into the Abadie family, one of the pioneer California families. 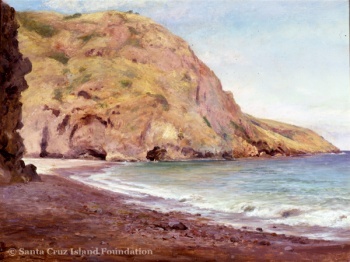 He is considered Southern California’s first great painter of the 19th century. 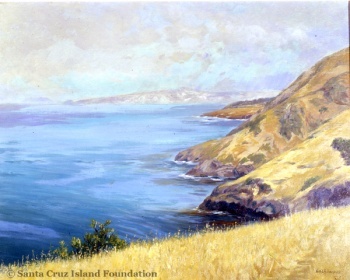 At the family home of Felicidad, Harmer established the first art colony on the West coast. 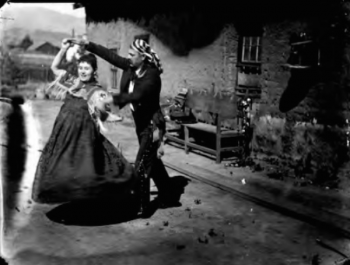 A series of studios was added to the Spanish-Colonial adobe home and Harmer and his family welcomed numerous artists to stay between 1908 and into the 1920s. 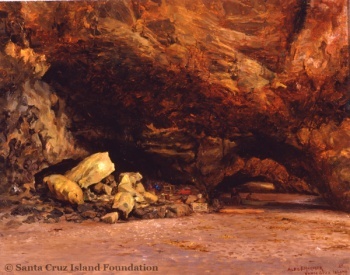 Some of the many artists who spent time there include Robert Wagner, Thomas Moran, Carl Oscar Borg, John Gamble, Frank Morley Fletcher, Joseph Knowles, Albert Herters, William Otte, Frank Tenney Johnson, Clarence Mattei, and Edward Borein. 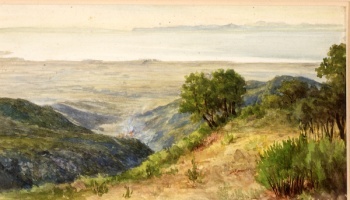 This modest colony that Harmer established in Santa Barbara saw many of the most important Western artists of the late 19th and early 20th centuries pass through its doors. 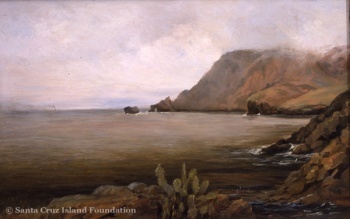 Alexander Harmer died in 1925, leaving a legacy of art dedicated to the American West. 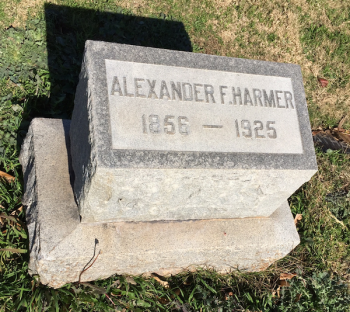 The Harmers are buried in Calvary Cemetery, Santa Barbara. 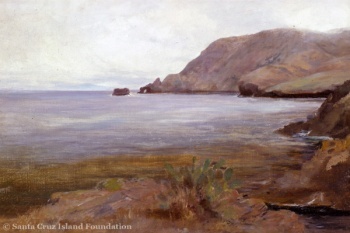 Harmer executed a large suite of paintings on Santa Cruz Island, most of which are in the collection of the Santa Cruz Island Foundation. This page was last edited on 27 January 2016, at 08:08.